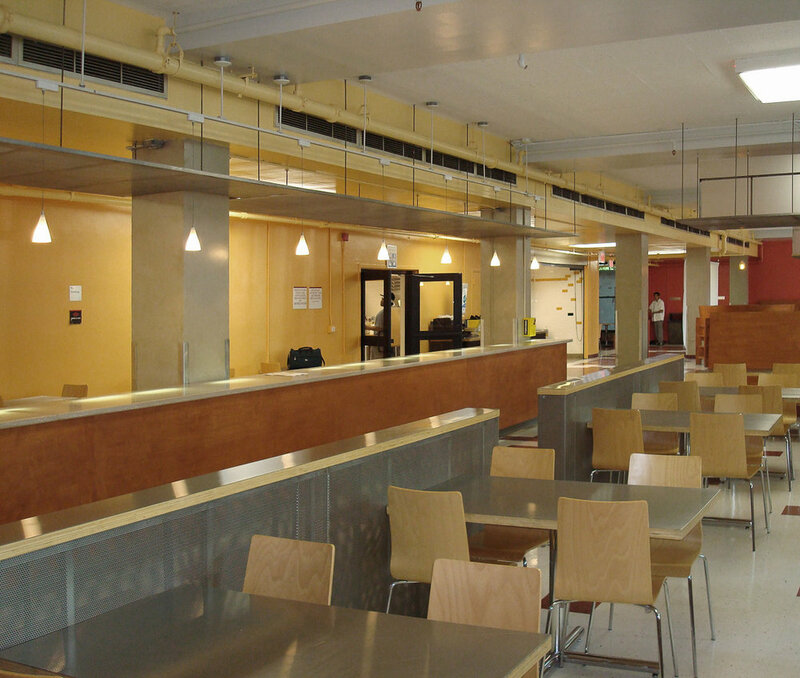 The two main campus food service locations, the Pratt Cafeteria, which holds 266 people, and the Pi Shop, which holds 80 people, are located in adjoining buildings on the historic Brooklyn campus. Both spaces required redesign and upgrades to properly attain Public Assembly permits. MAD performed an egress and executed renovations in order to secure LPC and DOB approvals.